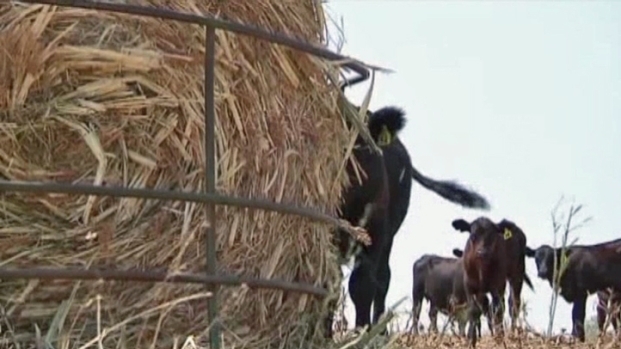 This summer's drought and wildfires have left Texas farmers and ranchers in need of feed for their animals. The Cowtown Coliseum and Fort Worth Stockyards announced a "Hay for Horses" drive to help feed horses left hungry by the harsh summer. "We see a great need with the people we deal with on a regular basis needing help, and so if there is anything we can do to help, that's our cause, and that's what we're going to do," said Nate Krieger of Stockyards Championship Rodeo. Midnight, a miniature horse, rescued last year and fitted with a prosthetic leg, was at the Cowtown Coliseum for the hay drive announcement on Monday. Midnight will also be on hand Friday night for the fundraiser. The Stockyards Championship Rodeo is wrangling in help for local farmers. The Stockyards Championship Rodeo will be donate a portion of Friday's ticket sales to purchase hay and feed. The "Hay for Horses" drive will benefit Ranch Hand Rescue, a not-for-profit animal rescue organization in Denton County. Ranch Hand will then share the donations with other rescue groups in the area. 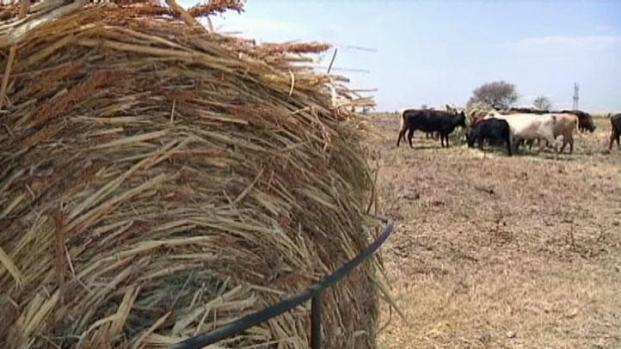 While hay prices haven't gone up, the cost to bring the hay to North Texas is why groups are in such a need. "You know, an $80 round bale of hay goes for $160 once it's delivered, depending on where it's coming from," said Bob Williams of Ranch Hand Rescue. 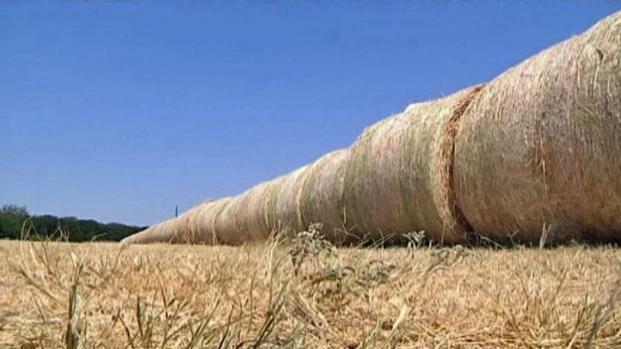 Texas ranchers are having to go to other states to buy hay because of the drought and prices have more than doubles for a bale of hay. Williams said his group gets so many calls he can't keep track of them all. The idea for the fundraiser came from a fan of the Stockyards Championship Rodeo's Facebook page. "Thank God for fans," Krieger said. "And thank God for people who bring up those ideas to the table, so we can embrace them and bring them to fruition. This was something that was brought to our attention and we're going to forward with it wholeheartedly." 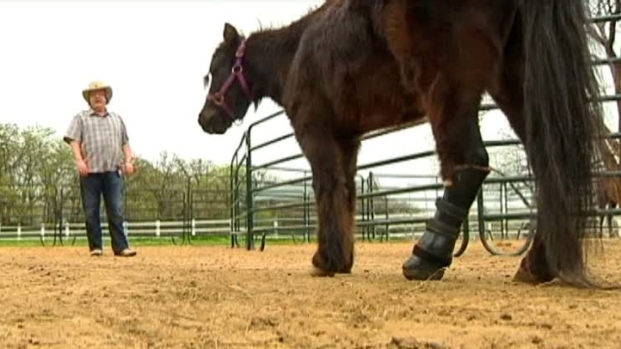 A severely abused and neglected mini horse named Midnight can run on all four legs since receiving a prosthetic leg. During the rodeo, volunteers will pass feed buckets around the audience to gather cash donations, and Ranch Hand Rescue will accept hay donations at the Coliseum on Friday. The public can also make donations at Ranch Hand Rescue's website or at Russell Feed locations.